2502 Square feet of beauty. 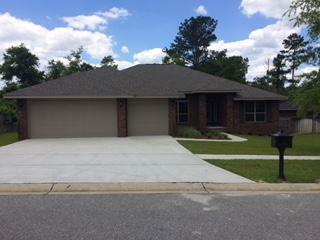 This has been one of our most popular floor plans this year in Crestview. This home features beautiful custom cabinetry, with modern colored NAFCO flooring in all the wet areas and granite in the kitchen. Relax in the Master bath garden tub or on the huge covered lanai. Come see our model located at 6000 Trestle St. to get a real feel.